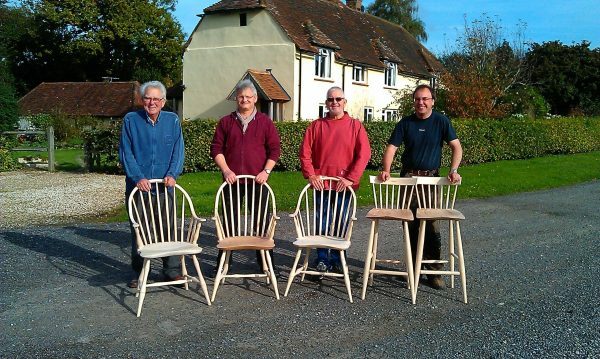 The first chapter of Windsor Chairmaking covers the history and background of Windsor chairs. 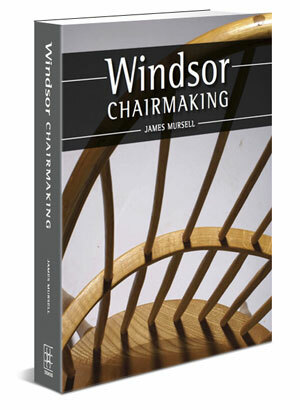 Chapter 2 & 3 discusses the tools needed for Windsor chair making; the choice of woods and their pros and cons; and the necessary equipment, such as the steambox; and all the techniques that are required for making Windsor chairs. Chapters 4 & 5 contain detailed plans for two English and two American chairs. These chapters are aimed at those who are interested in both English and American Windsor chairs – dealing with them together throughout the book for the first time. Those who wish to make chairs in the same way that they were made in the 18th century will find chapter 6 particularly interesting, as it discusses the lessons to be learned from the toolmarks left by an English maker on a chair dating from around 1750. Chapter 7 covers design and looks at the subtle messages that can be sent out by a chair which can be interpreted in the same way as human body language. Chapter 8 illustrates how the Windsor ‘form of construction’ can be applied to other types of furniture. 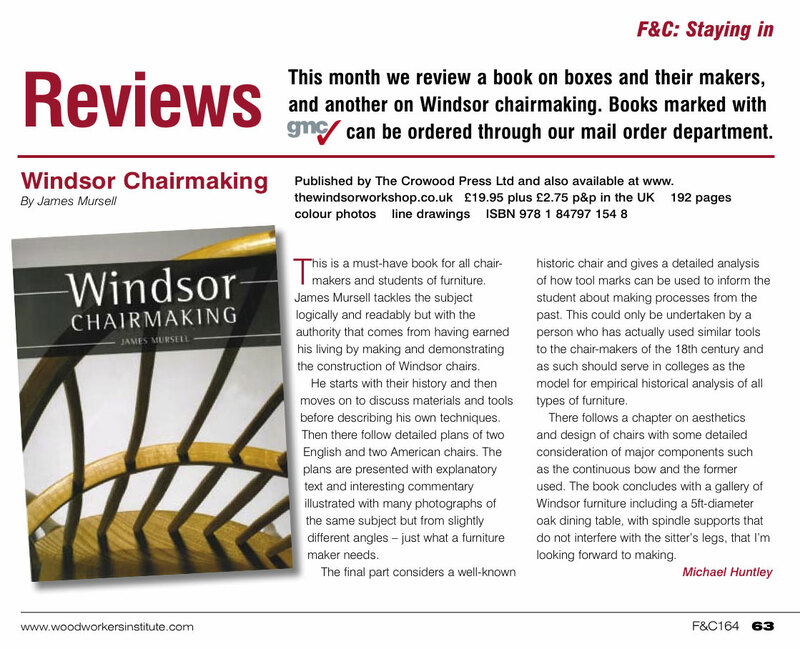 Below is Michael Huntley’s (Guild of Master Craftsmen) review of my Windsor Chairmaking book.